To see Jesus made non-ignorable in Lakewood, Denver, and to the ends of the earth. By pursuing faithfulness in our four CORE COMMITMENTS. Worship is an act of humbly exalting the God of the universe. We were created to worship and the Christian life begins and ends here. When Jesus saves his people, he saves us into a new family, his family, the Church. Connecting in community is vital to the Christian life and a mark of a biblical church. Calvary is committed to seeing the Gospel transform all of life. As we grow to know God deeply, we increasingly see Him as better than anything our sin offers us. If you are a Christian, you are a disciple who is called to make disciples. We want to show and tell the good news of the Gospel both in word and deed. Just as the Father sent His son, Jesus, into the world to provide the hope of the gospel, Jesus has sent us on mission to the communities, cities, and nations of the world to show and tell the gospel boldly and multiply disciples who do the same. At Calvary our core expression for showing and telling the gospel boldly manifests in three actions: Invest, Invite, and Introduce. We testify to the warmth, love, and grace of God when we intentionally invest our life in others. We invest in others by serving them and learning their names and stories. Additionally, we testify to God’s initiative to show us undeserved hospitality in Christ when we invite others into our lives. We do this by making a habit of inviting others to meals and to your recreational, entertainment, and celebratory life rhythms. Lastly, the relationships we build with others lead to conversations in which we introduce people to Jesus through the gospel. We grow in gospel boldness by regularly telling the truths of the gospel to ourselves, other believers, and the world. Join us in loving Lakewood! 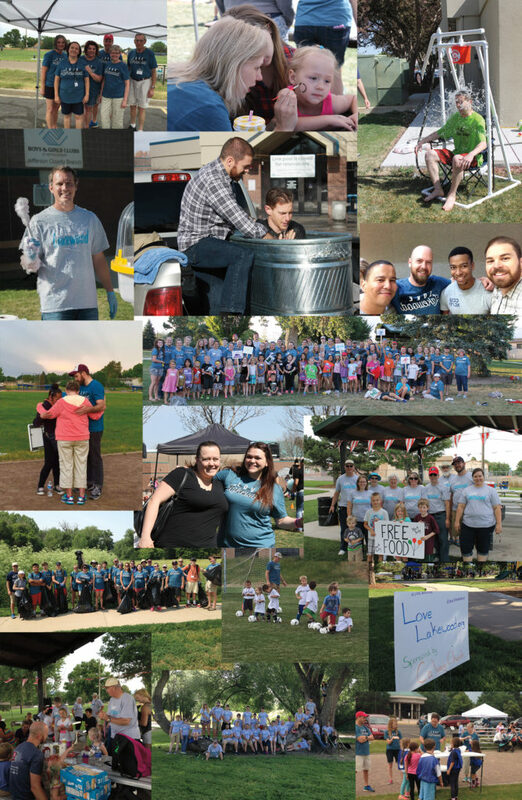 In the summer and throughout the year, we seek to serve and love our community. As a church we desire to love the city of Lakewood and the greater Denver-metro. Visit our LOVE LAKEWOOD page for more info.